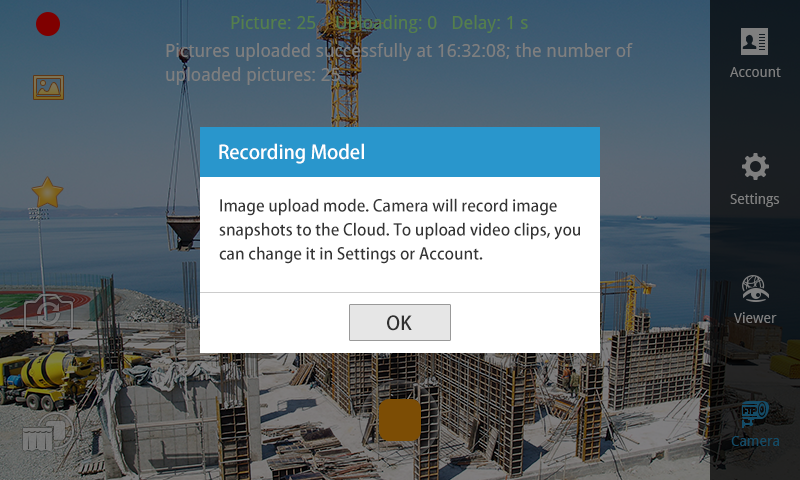 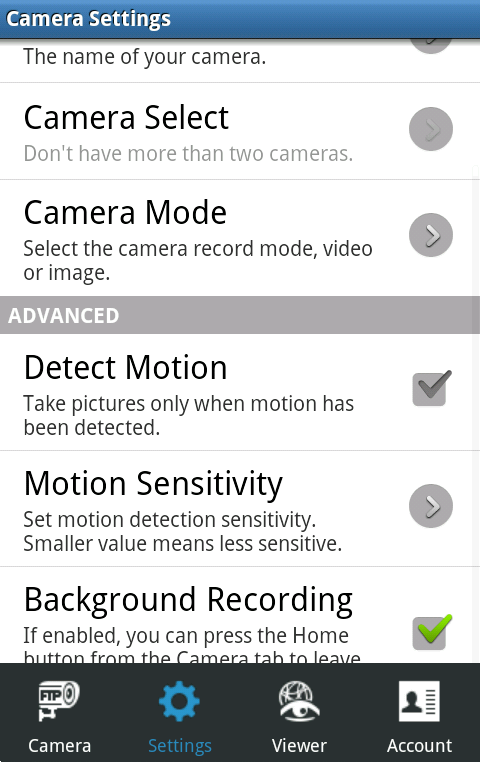 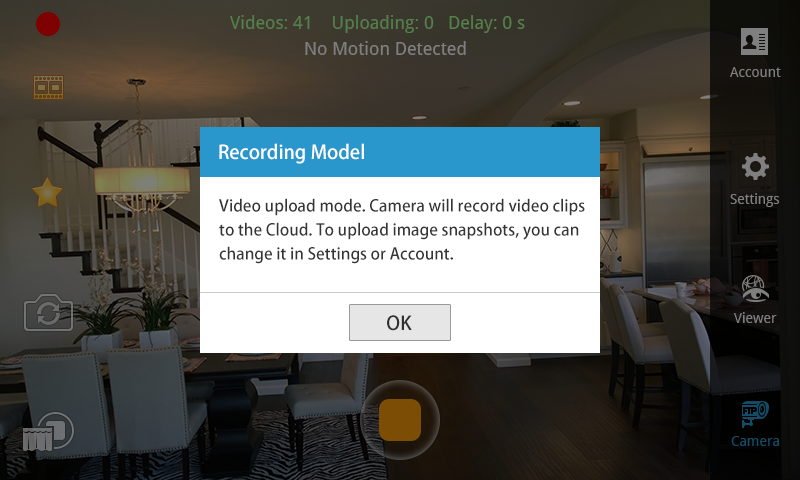 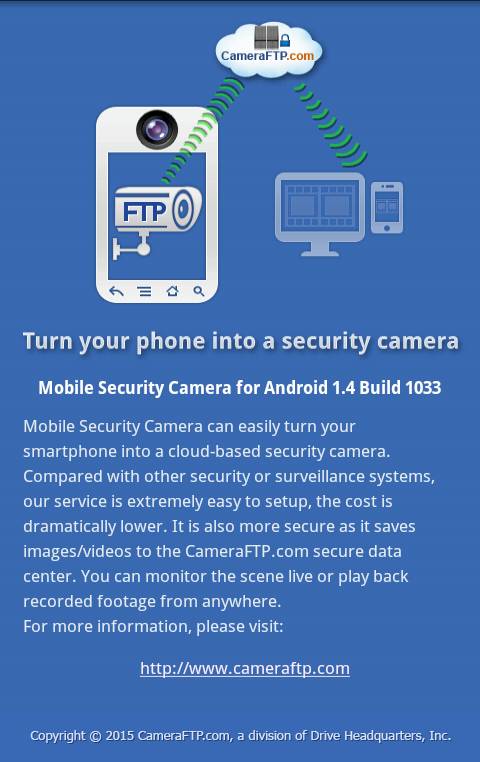 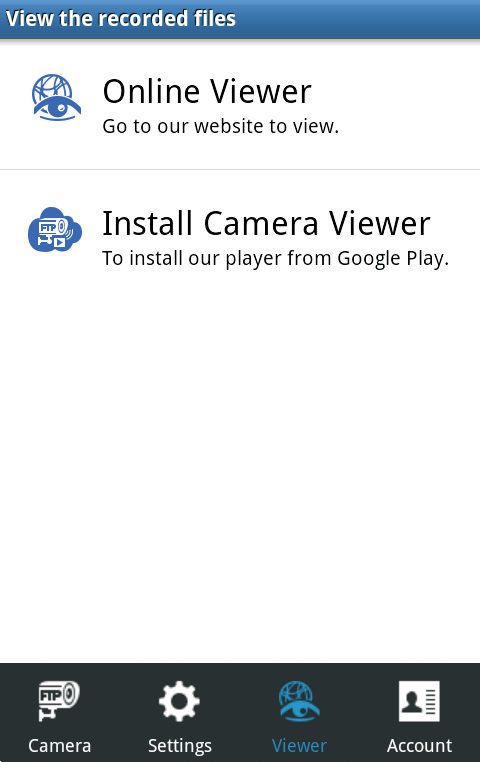 The APP can make your Android smartphone or tablet a cloud-based IP security camera. 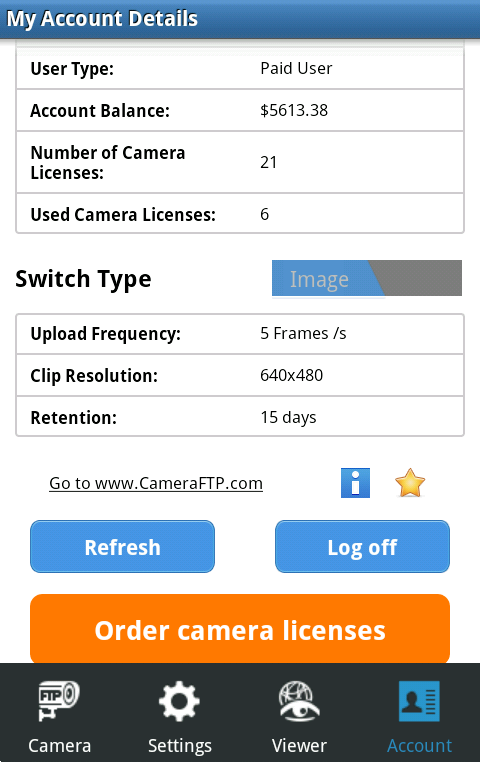 It can record and upload the footage to CameraFTP cloud storage. 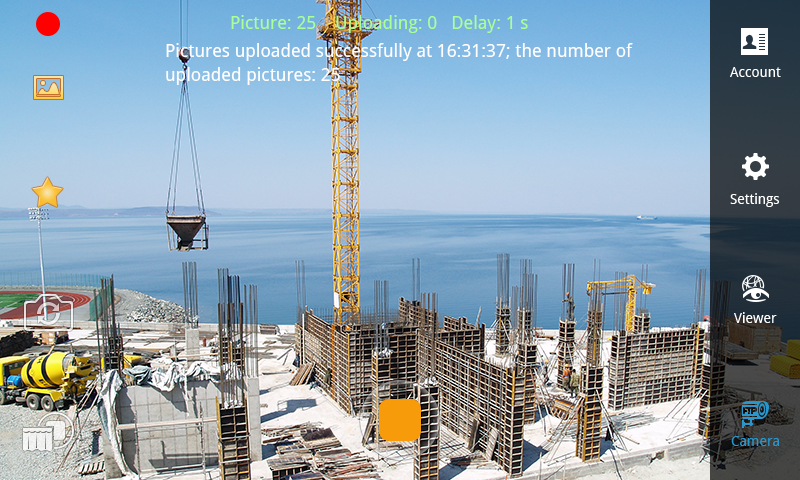 You can view / play back the recorded footage on any device from anywhere, anytime.